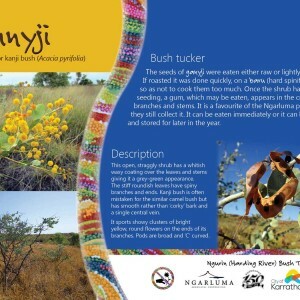 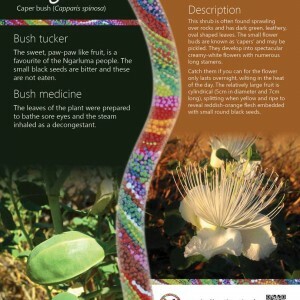 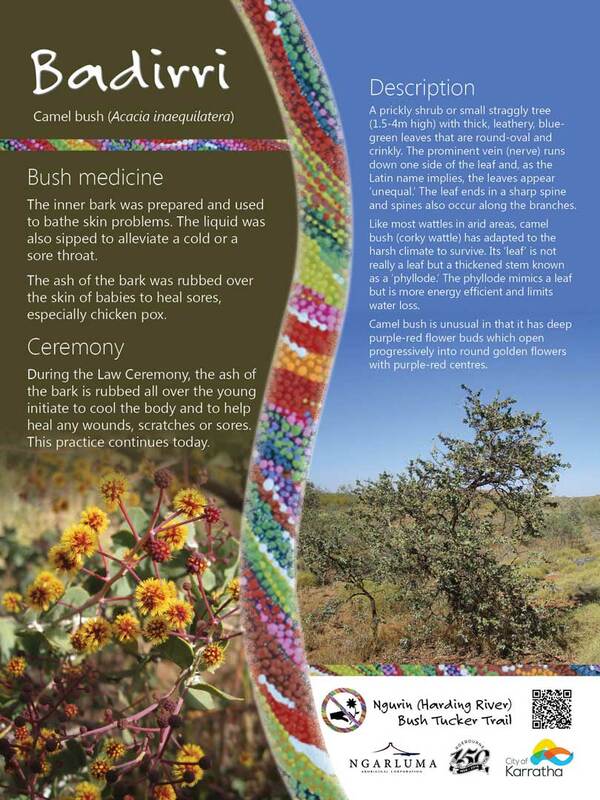 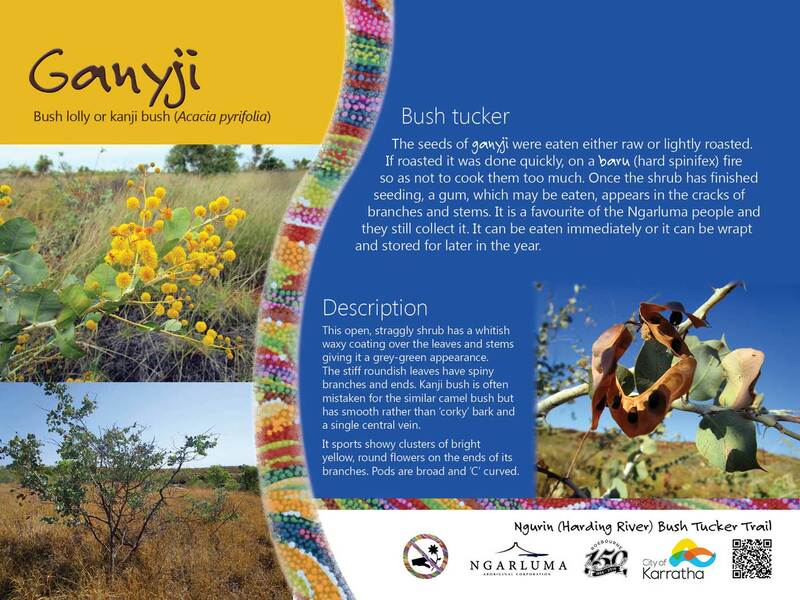 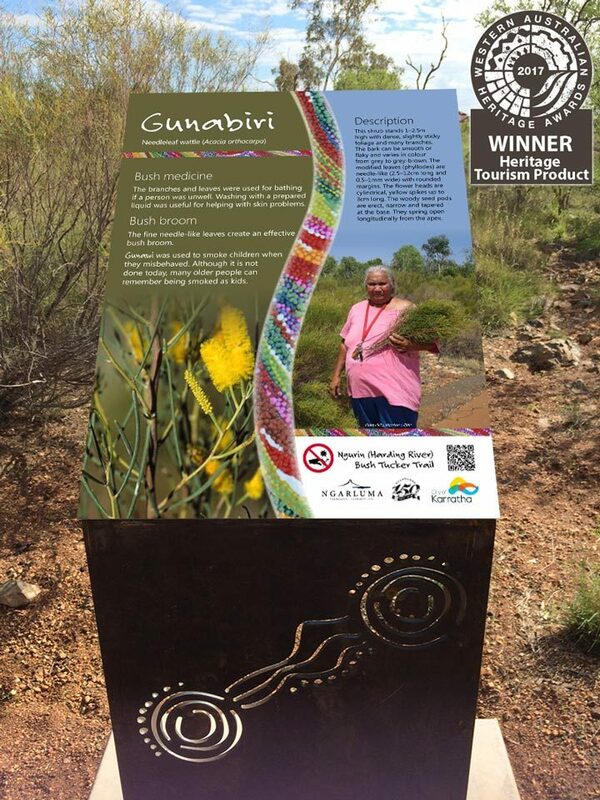 Bush Tucker Signage developed for the Ngurin Bush Tucker Trails was Winner of the Western Australia Heritage Awards 2017 – Heritage Tourism Product. 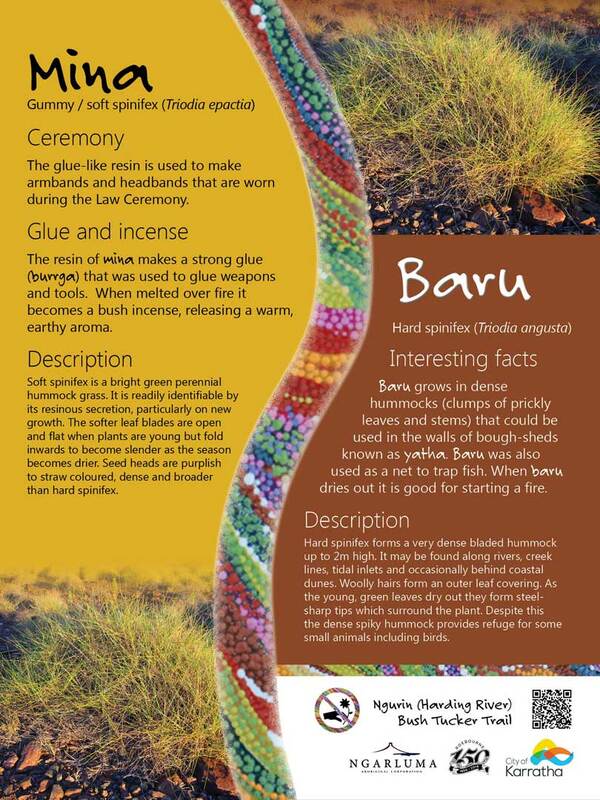 A great little project to get the design juices flowing. 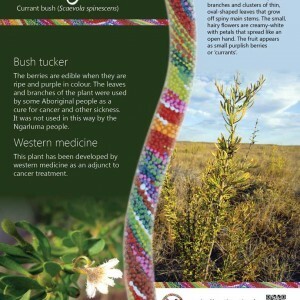 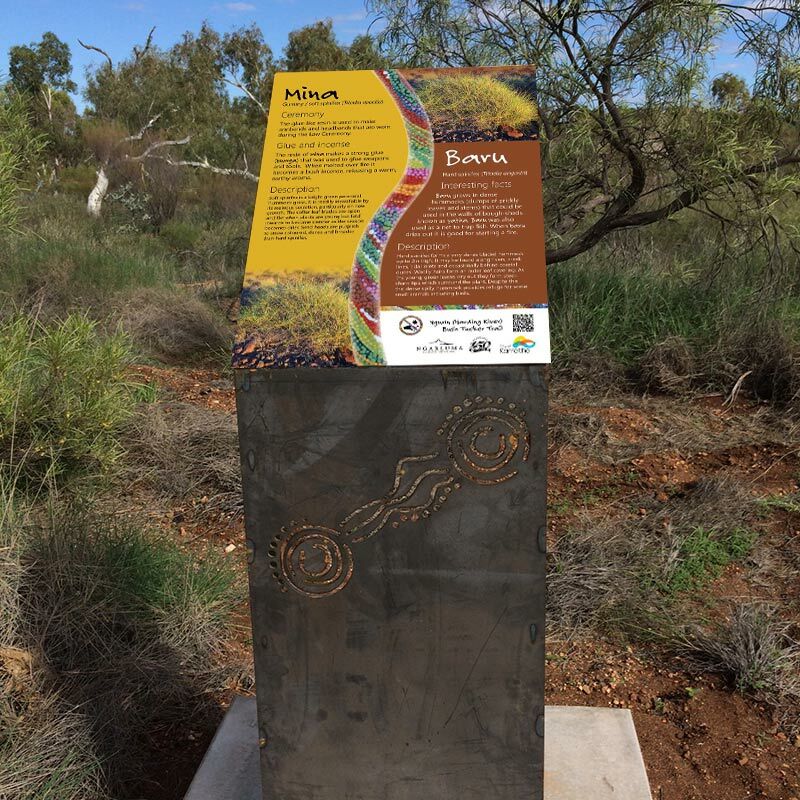 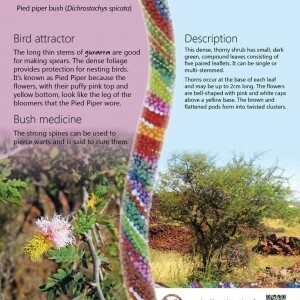 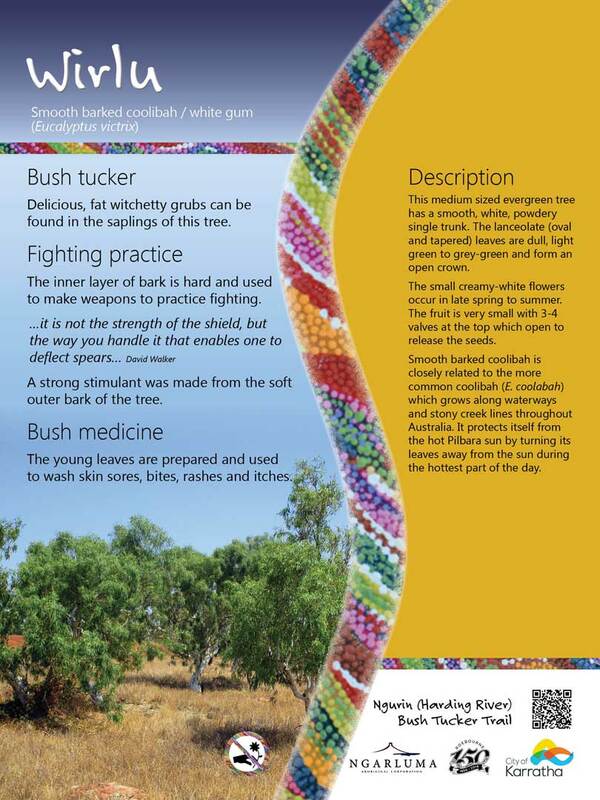 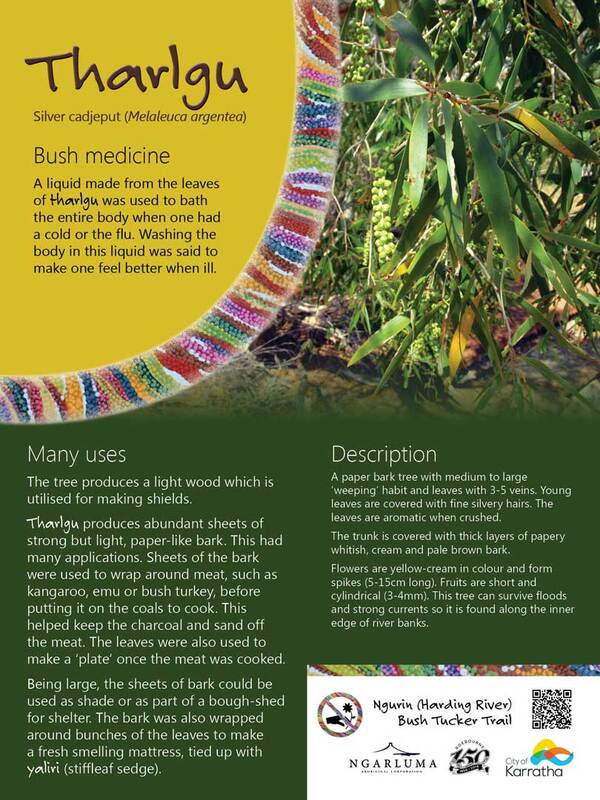 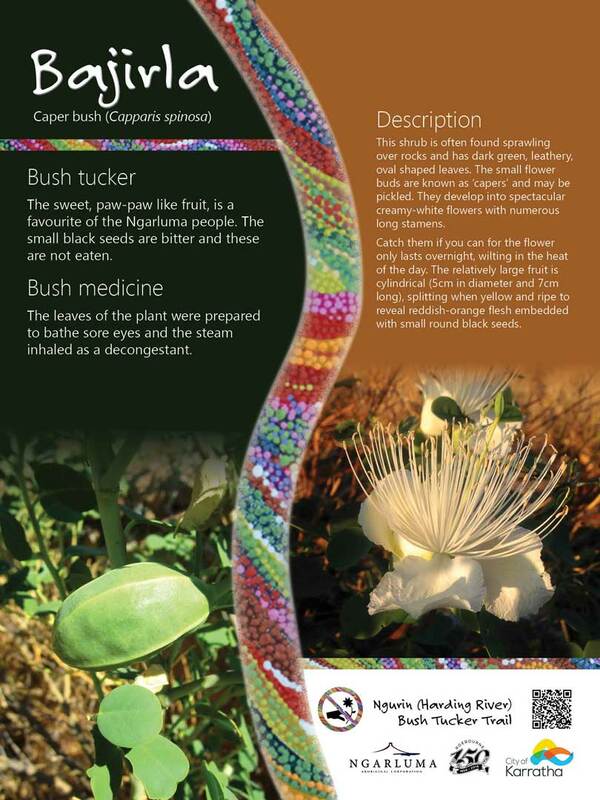 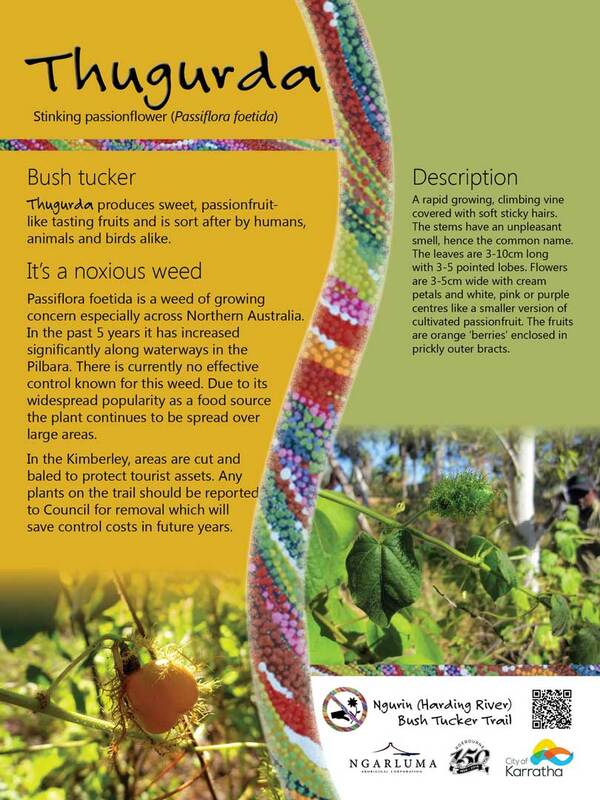 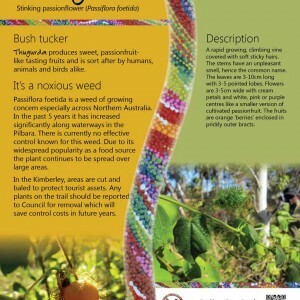 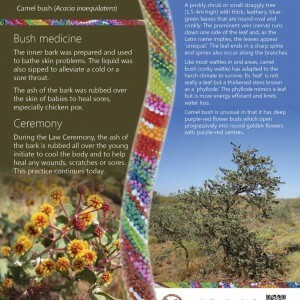 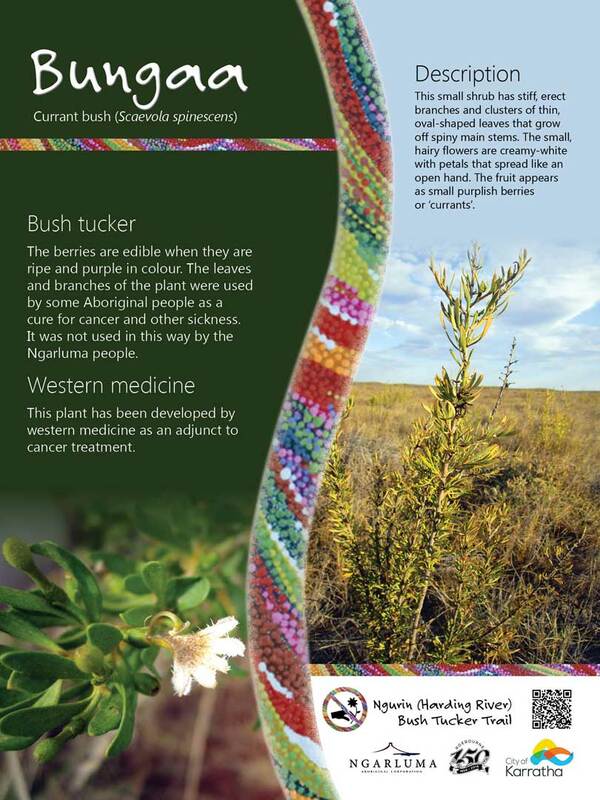 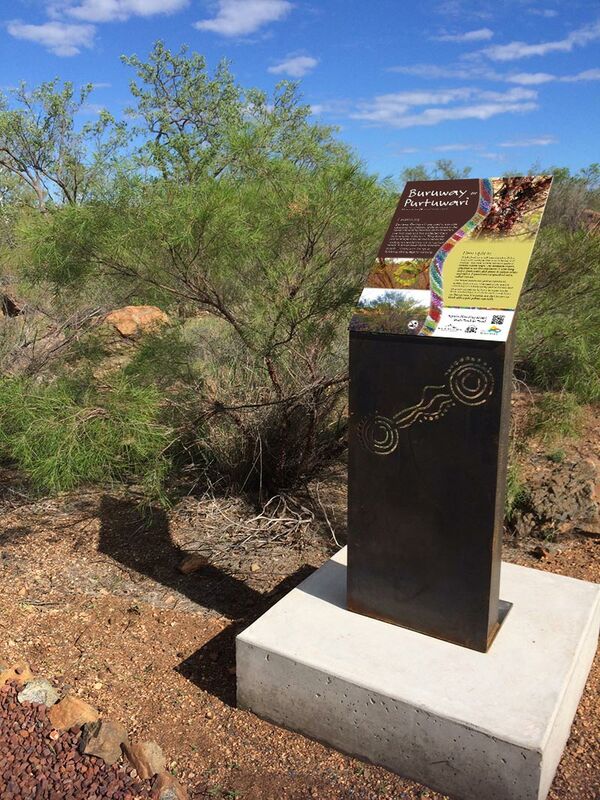 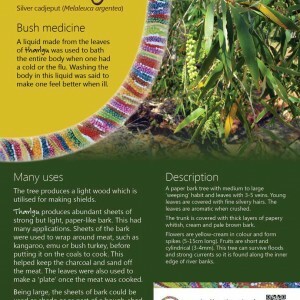 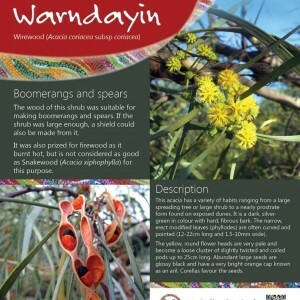 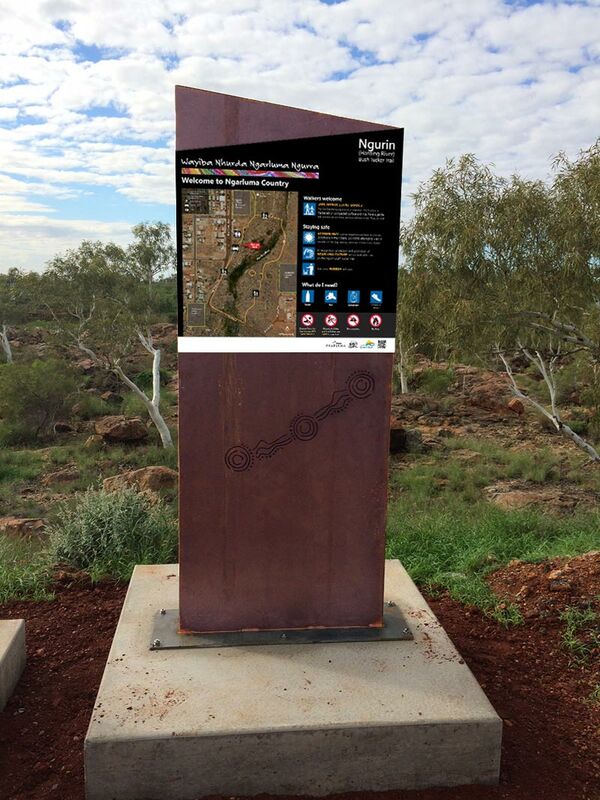 With sixteen bush tucker trail signs and track head sign to be installed in Roebourne, WA along the Ngurin River (Harding River) this project has again given us a chance to be exposed to indigenous culture and bush medicine. 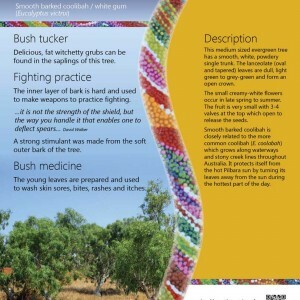 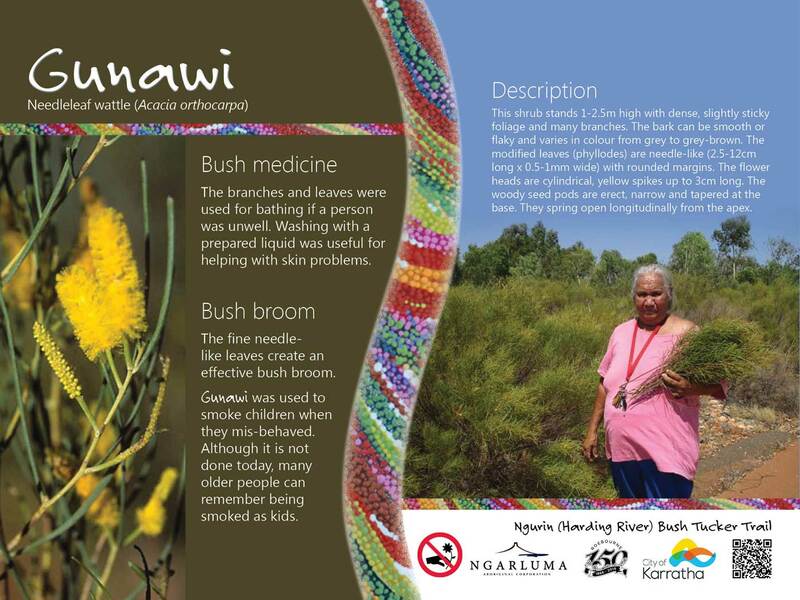 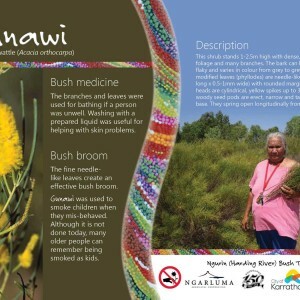 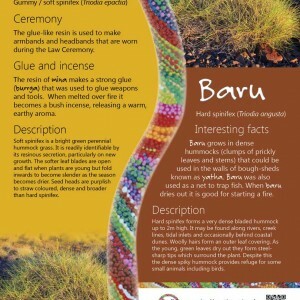 We absolutely love working with Aboriginal groups and helping to sensitively convey their stories to the local and broader tourist population. 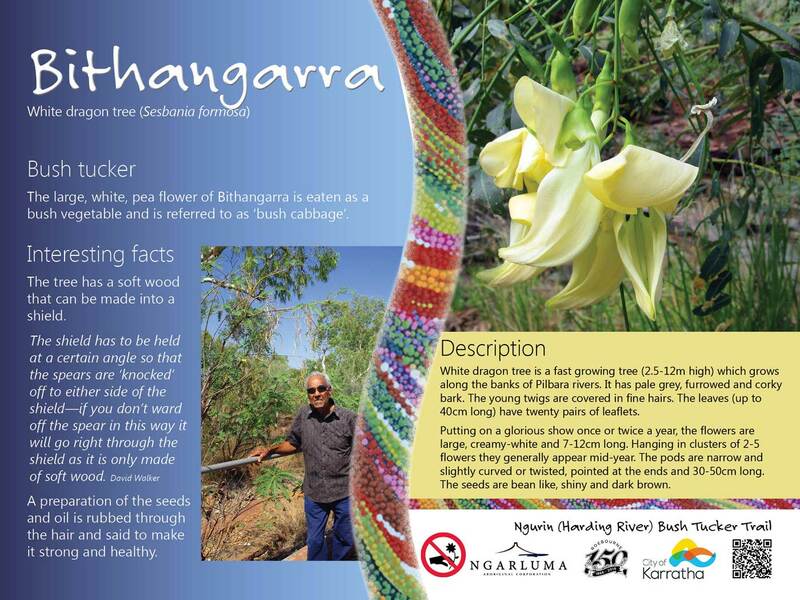 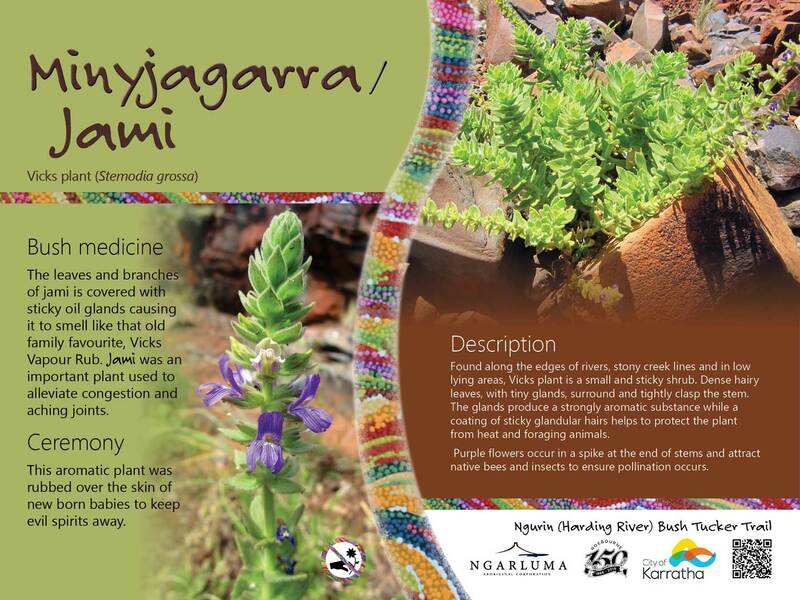 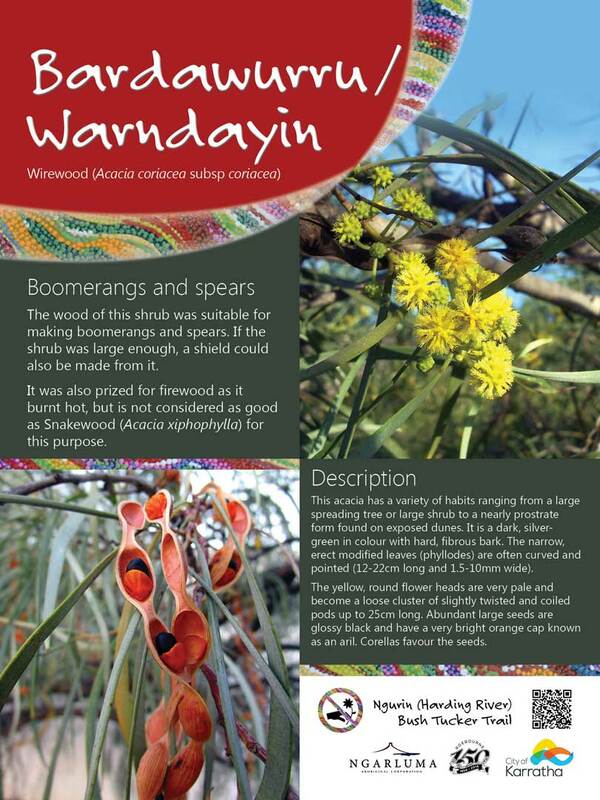 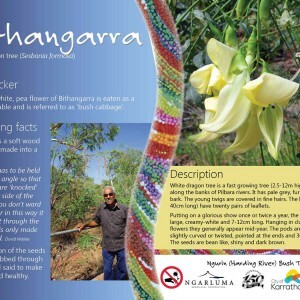 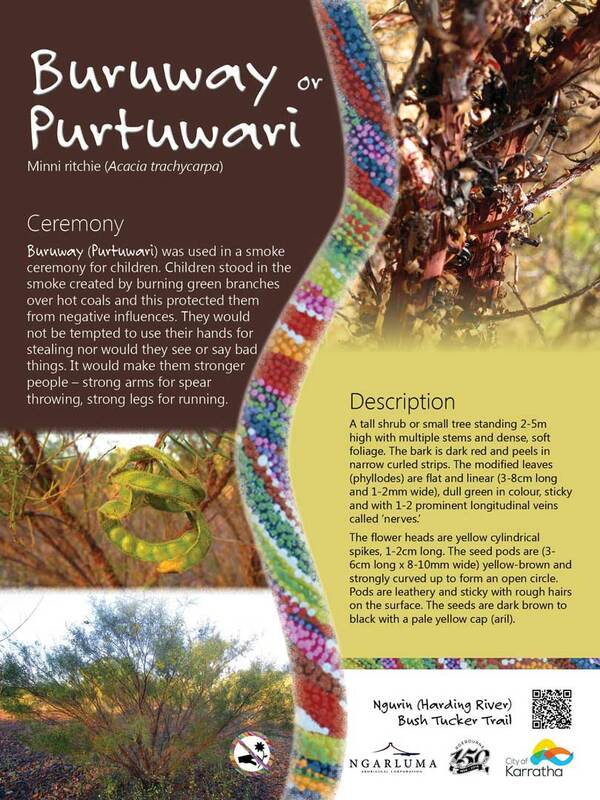 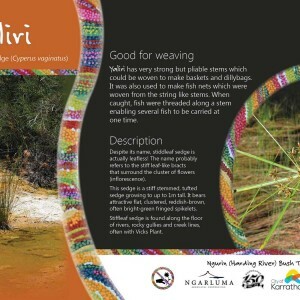 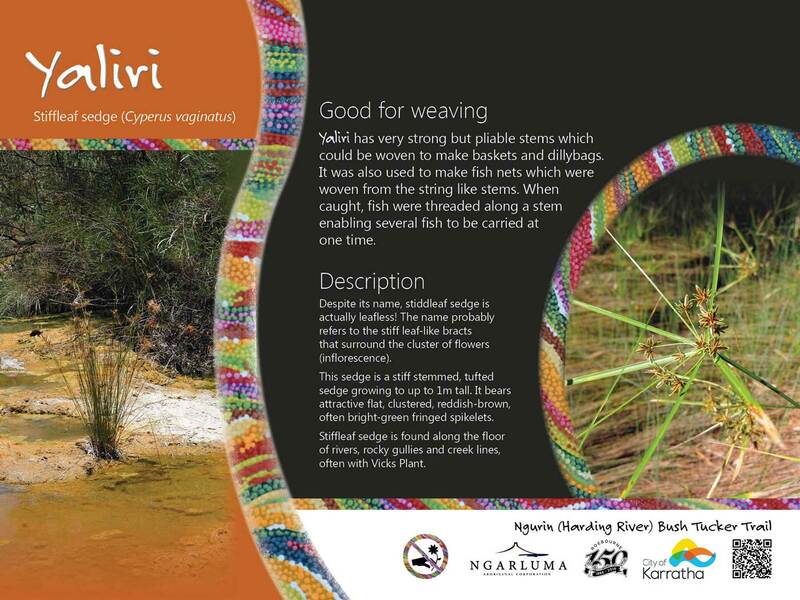 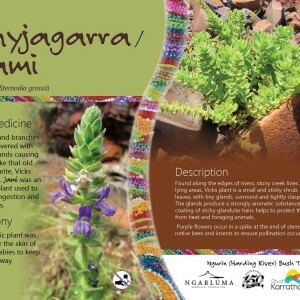 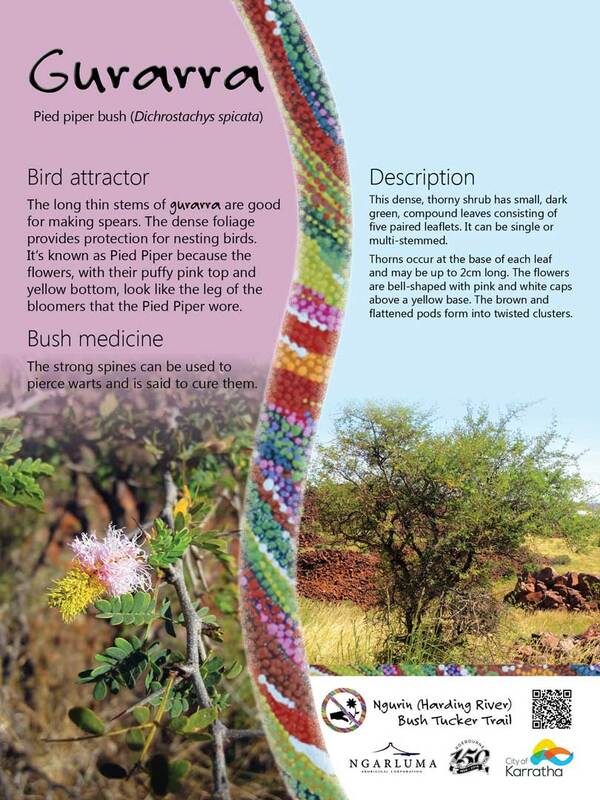 All the designs incorporate indigenous Ngarluma artwork which was supplied by Karratha Council. 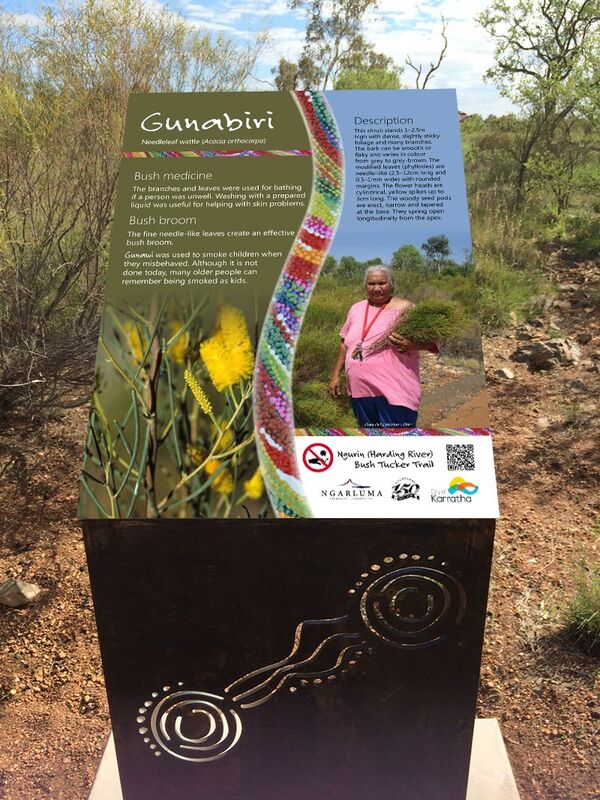 Modified into a graphic element that was developed into a template design, the artwork appears in waves, curves and stripes across the panels. 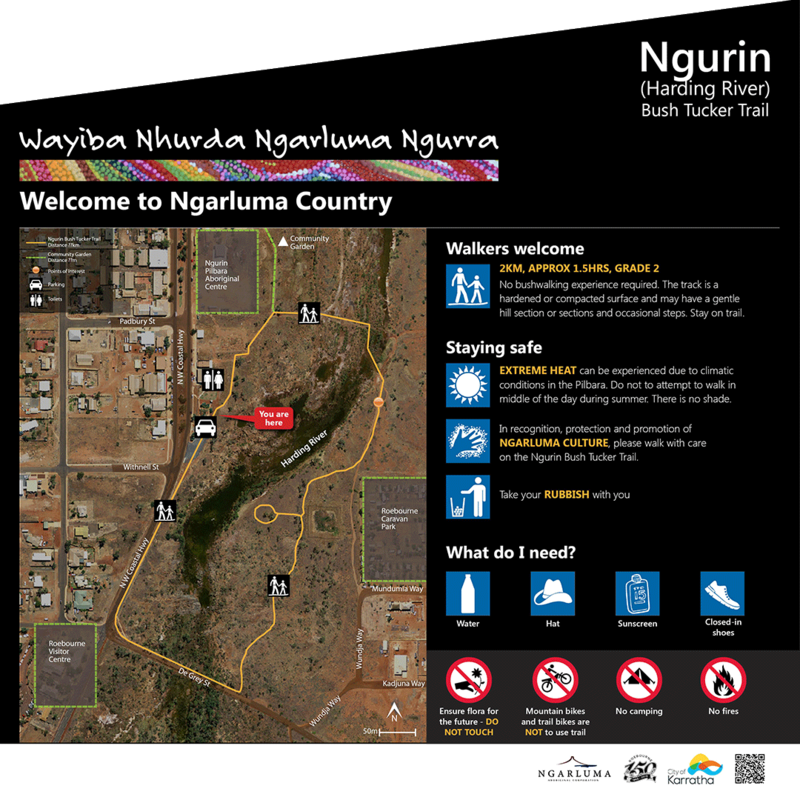 A modern approach was used with text appropriately sized for walkers. 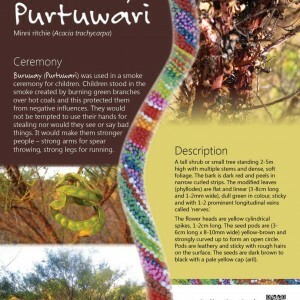 Click to enlarge and see the full design! Design, colours, finish and materials were selected for the harsh environment and weather conditions experienced in Roebourne. All materials used for signage, framework and footings are sustainable. 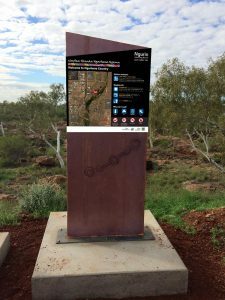 Technical drawings and engineering certification were provided for the entire signage structure, detailing fixing and installation methods for the signage panels, framework and footings.